Saturday August 27th - results day! 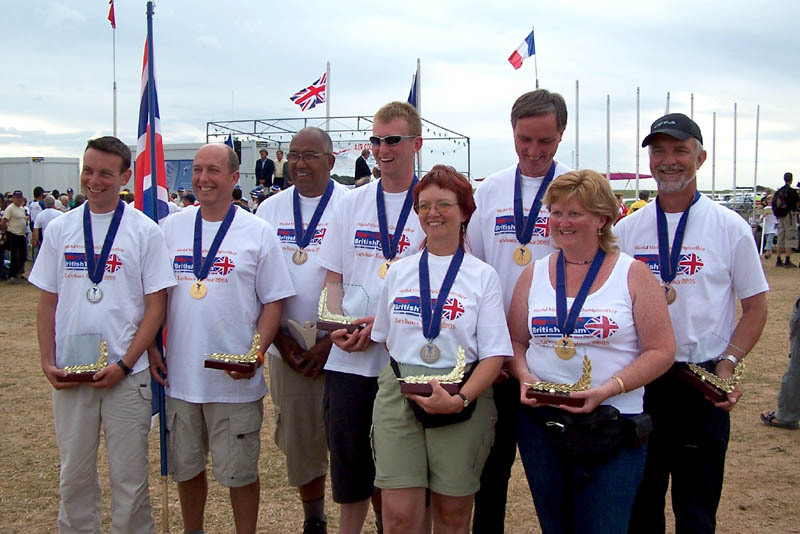 the French team, who launched protest after protest and accused the entire British team, the Chief Marshall and the Flight Director of cheating. excessively childish outbursts were finally silenced. championships. The next (European) championships are due to take place in Germany in 2006 - I can't wait.